In a move that could have profound consequences for future attempts to limit air pollution, EPA has proposed undoing the justification for one of the Obama administration's crowning environmental achievements: the 2012 regulations on power industry mercury emissions. In a draft rule released this morning, EPA proposes to revoke the agency's prior determination that it was "appropriate and necessary" to curb releases of mercury, arsenic and other hazardous air pollutants from coal- and oil-fired power plants. While the proposal would leave the actual emission limits in place, it concludes that the Obama administration erred in heavily relying on "co-benefits" attributed to reductions in pollutants besides those targeted in the regulations to justify the expected compliance costs. The proposal, which was immediately greeted with scathing criticism from public health advocacy groups and a prominent Senate Democrat, takes its cue from a 2015 Supreme Court ruling that EPA should have considered compliance costs in making the "appropriate and necessary" determination to proceed with creation of what are formally known as the Mercury and Air Toxics Standards (MATS). The agency responded the next year with a supplemental finding reaffirming its decision to regulate power plant emissions of mercury and other toxics in light of their health risks, but that analysis was "flawed" because of its reliance on the co-benefits expected from reductions in particulate pollution, according to the proposal released this morning. EPA had previously forecast that the quantifiable annual health benefits of reducing power plant releases of mercury and other hazardous pollutants were $4 million to $6 million, compared with expected compliance costs of at least $7.4 billion, the agency said in an official summary today. Despite tens of billions of dollars' worth of expected co-benefits, acting EPA Administrator Andrew Wheeler "has concluded that the identification of these benefits is not sufficient, in light of the gross imbalance of monetized costs and [hazardous air pollutant] benefits to support" the appropriate and necessary finding, the agency said. The proposal comes as no surprise. As early as this spring, EPA air chief Bill Wehrum had signaled his interest in revisiting the appropriate and necessary determination (Greenwire, April 19). But it also brings potential peril to the Trump administration, both because of mercury's well-documented role as a neurotoxin that can affect children's brain development and because the power industry is now largely in compliance with MATS. In July, a consortium of industry trade groups took the unusual step of publicly urging EPA not to tamper with the standards. Since MATS went into effect in 2012, electric companies have cut mercury emissions by nearly 90 percent, Brian Reil, a spokesman for one of those groups, the Edison Electric Institute, said in a statement today. "EPA should leave the underlying MATS rule in place and unchanged, and should not finalize any action that would undermine the existing MATS rule," Reil said. In a separate statement, Sen. Tom Carper (D-Del.) criticized both the draft rule and Wheeler's decision to make it public only hours before EPA is expected to suspend operations because of a lack of funding (see related story). "By releasing this proposal today, Acting Administrator Wheeler can only be attempting to rush an egregious policy before EPA staff are furloughed that is not only wildly unpopular, but also rolls back years of critical protections that keep toxic emissions out of the air we all breathe," said Carper, the ranking member on the Senate Environment and Public Works Committee. In news releases, advocacy groups similarly assailed the proposed rule. "Wheeler is doing this in spite of the fact that almost no one wants it done," Environmental Defense Fund President Fred Krupp said. Despite EPA's assertion that the actual standards would be left untouched, "no one can truthfully claim they are demolishing the foundation of a building but they still expect the building to stand," Krupp said. "There is no legitimate justification for this action," American Lung Association President and CEO Harold Wimmer said, adding that mercury can cause brain damage in babies. Also watching with dismay were Obama-era EPA officials involved in MATS's creation. In a conference call last week held in anticipation of the proposal's release, former EPA Administrator Gina McCarthy told reporters that the Trump administration also wants to target the use of co-benefits more broadly, a step that could undercut efforts to justify future limits on air pollution. "The main reason why they want to do this is to cut the legs off of EPA in terms of our ability to protect public health and the natural resources from toxics that are impacting our kids' lives today," McCarthy said. She also portrayed the planned rollback as another attempt to aid one of President Trump's favorite industries. "I think it's no secret that the administration's agenda for EPA was really written by coal companies and in particular by Bob Murray," McCarthy said. "He's interested in making sure that this was relooked at because he saw it as a burden to the coal industry in terms of its ability to compete." Murray heads Ohio-based Murray Energy Corp., the nation's largest privately owned coal company. An enthusiastic Trump supporter, Murray last year unsuccessfully pressed the administration to suspend MATS, even though implementation by then was nearly complete. At the time, Wheeler was a contract lobbyist for Murray Energy. In a statement today, Murray Energy welcomed what it called an "important development in reversing the illegal policies and programs of the Obama administration and the Obama-era EPA." In response to emailed questions from E&E News, company spokesman Jason Witt slammed McCarthy for undertaking those policies that "so divisively and decisively disadvantage the United States coal industry's ability to compete in energy generation markets." Although the company has monitored the Trump-era rulemaking, Witt said, it has not actively lobbied for the proposed rule in recent months "because the vast majority of our utility customers have already come into compliance" with the standards. The draft rule released today also encompasses the results of a legally required "residual risk and technology review," which found that no changes to the original 2012 standards are warranted. When published in the Federal Register, the proposal will carry a 60-day public comment period; EPA also plans to hold a public hearing. Wehrum, who became EPA air chief in November 2017, previously worked as an industry lawyer and served in the air office from 2001 to 2007 under President George W. Bush. 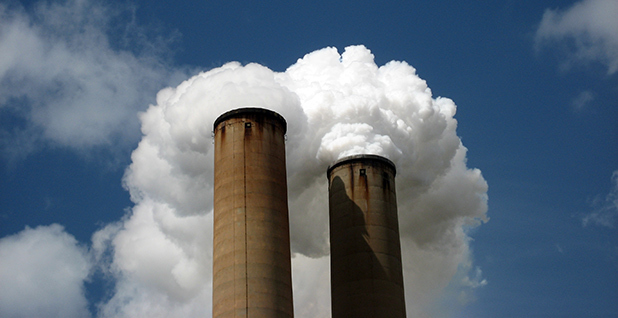 In 2005, EPA had previously revoked the "appropriate and necessary" determination in a bid to regulate power plant mercury emissions under a different section of the Clean Air Act. In 2008, the U.S. Court of Appeals for the District of Columbia Circuit voided that attempt. Jeff Holmstead, who headed the air office at the time of the 2005 revocation, said today that the agency had “managed to walk a very fine line” in seeking to leave the emissions standards in place while again attempting to reverse the justification for issuing them. Holmstead, now an industry lawyer and lobbyist, said in an emailed statement that EPA officials aren’t saying that the co-benefits of expected particulate reductions can’t be considered in making new regulatory decisions. Rather, “they’re just saying that in this case … we can’t use these co-benefits to justify a regulation that is supposed to be about hazardous air pollutants,” according to his statement.